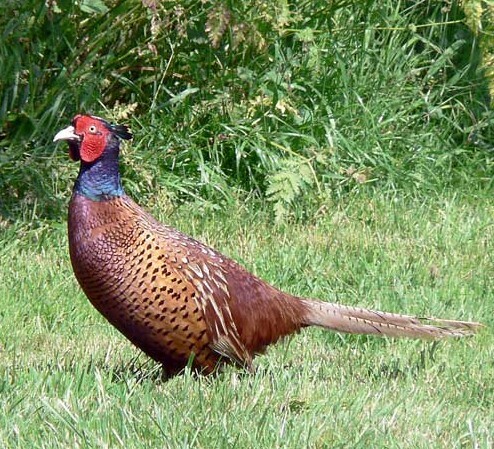 Pheasant (Phasianus; Ukrainian: pantarka, fazan). A bird of the family Phasianidae that is related to the quail, partridge, peacock, and jungle fowl. 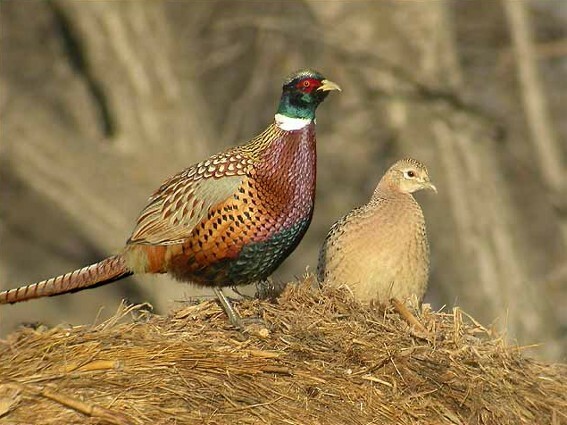 Pheasants are long-tailed birds of open woodlands and fields, where they nest on the ground and lead a sedentary life. They were naturalized in Ukraine and raised for hunting as excellent game birds. They inhabit the regions of Kyiv, Kherson, Mykolaiv, the Crimea, and Transcarpathia.